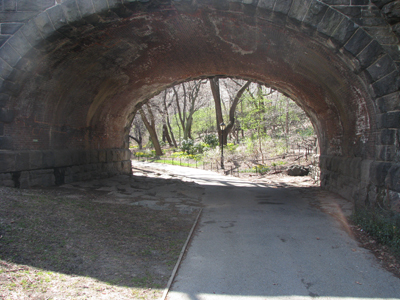 Spring came earlier to the East Coast than here–the sight of green grass, scylla and daffodils relieved our winter-tired eyes. 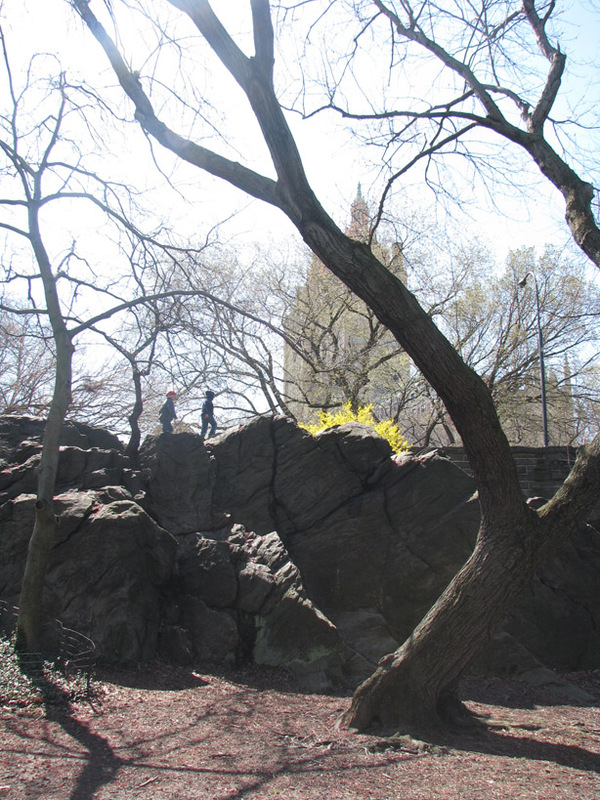 The kids scrambled up this rock in Central Park many times and Mike and I couldn't help feasting our gaze on the forsythia in bloom. This frolicking followed our visit to the Natural History Museum, where the kids learned that the characters in Ice Age had been well-researched. 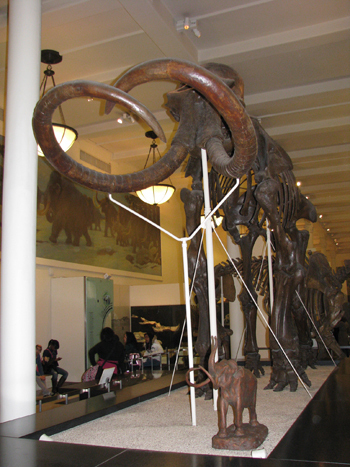 We had originally planned to walk across Central Park to the Met, but when we disembarked from the subway, the entrance to the American Museum of Natural History was right there. Literally right there–we didn't even have to walk up a flight of stairs and the carved-wood desks of the Museum ticketers had just opened five minutes before, so we decided to go with the flow. One of our favorite things was the meteorite display–the once-molten metal's so hard that they have them out where you can touch them. We had a small heartbreak on the way home, though; Belle's carefully chosen souvenir, a snow globe with gold sparkles, turns out a security hazard. Who knew? Tears were shed, especially when one nice guard tried to get us through and her superior turned us down. But the rest of the trip was spectacular, if too short.